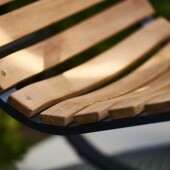 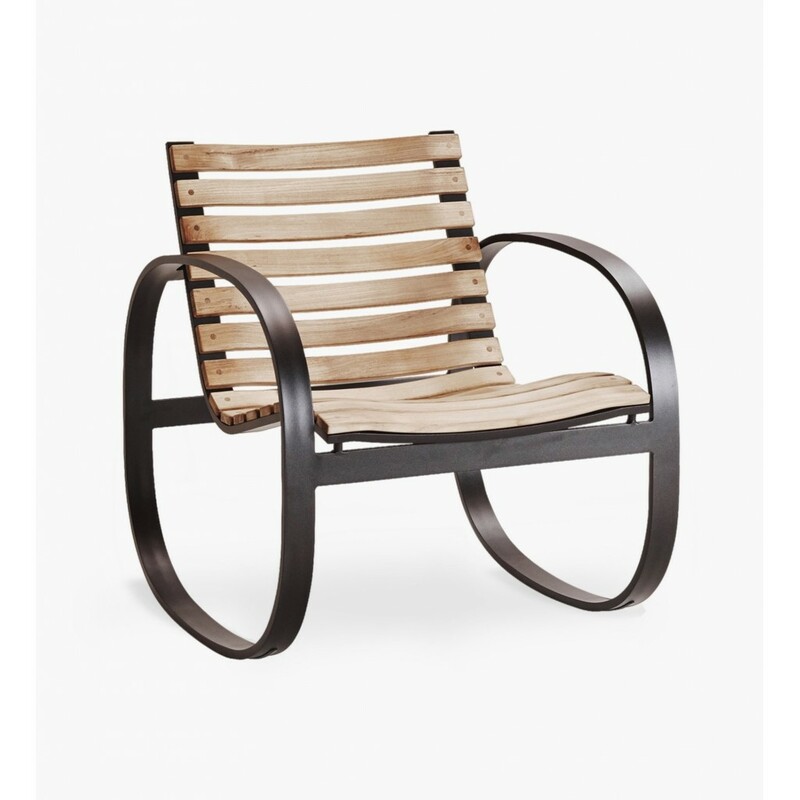 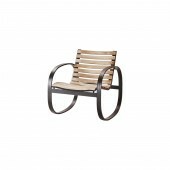 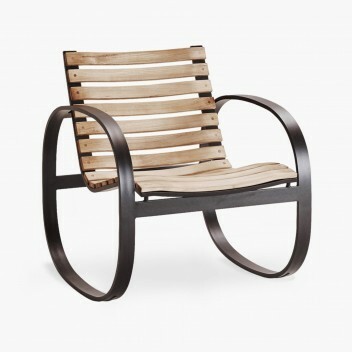 Fotel bujany Parc Rocking Teak Chair Czarny. 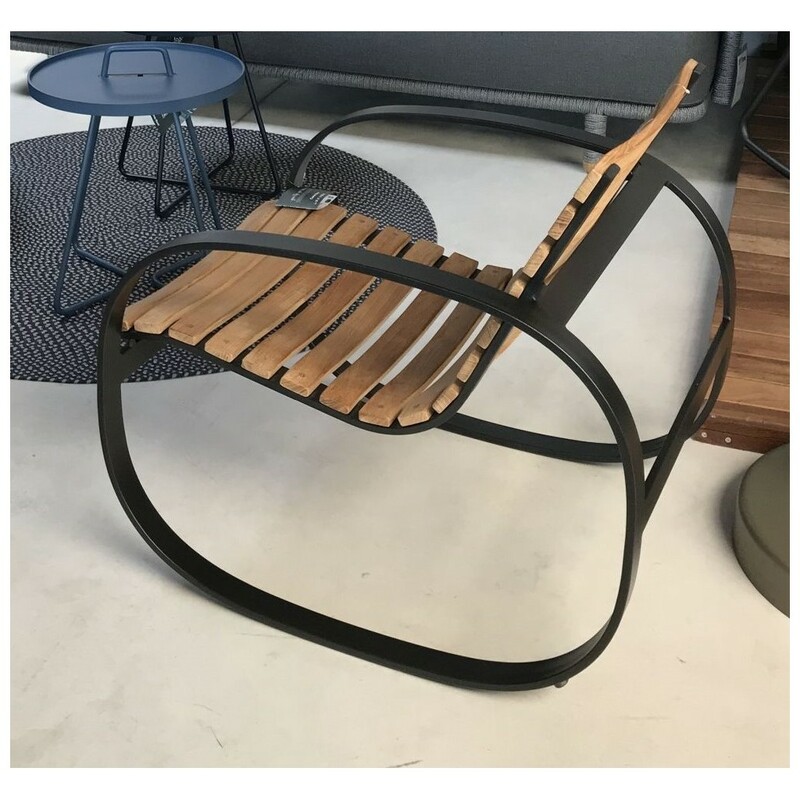 Do zastosowania wewnątrz oraz na zewnątrz. 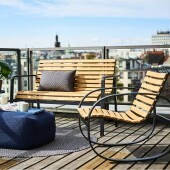 Wykonany z odpornego na zewnętrzne warunki drewna tekowego i lakierów UV. 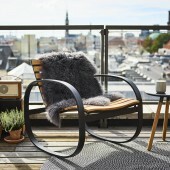 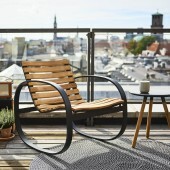 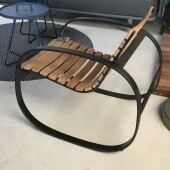 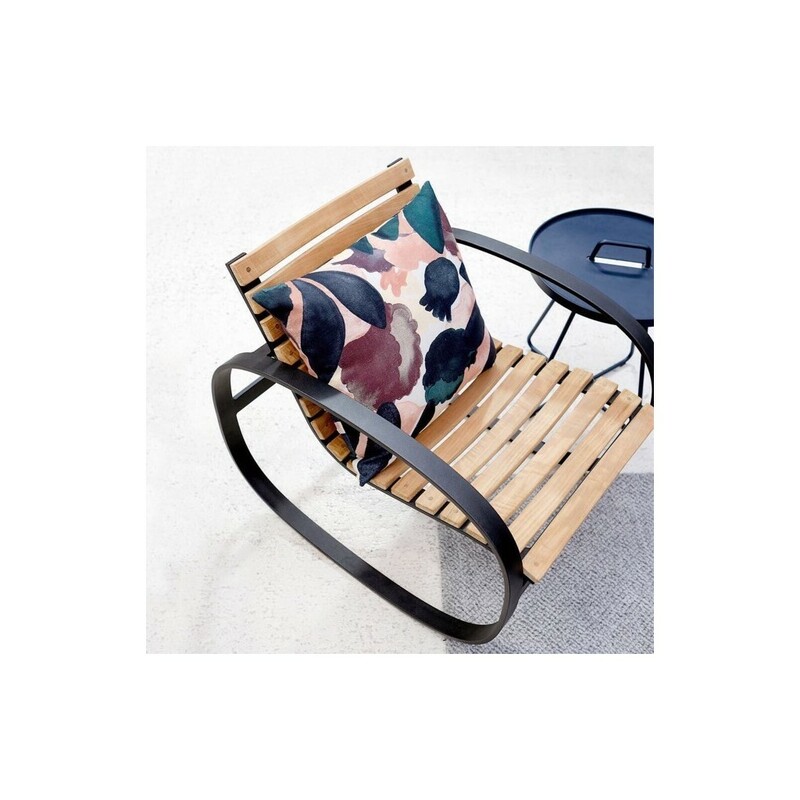 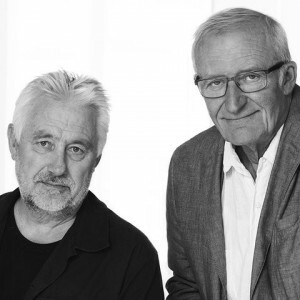 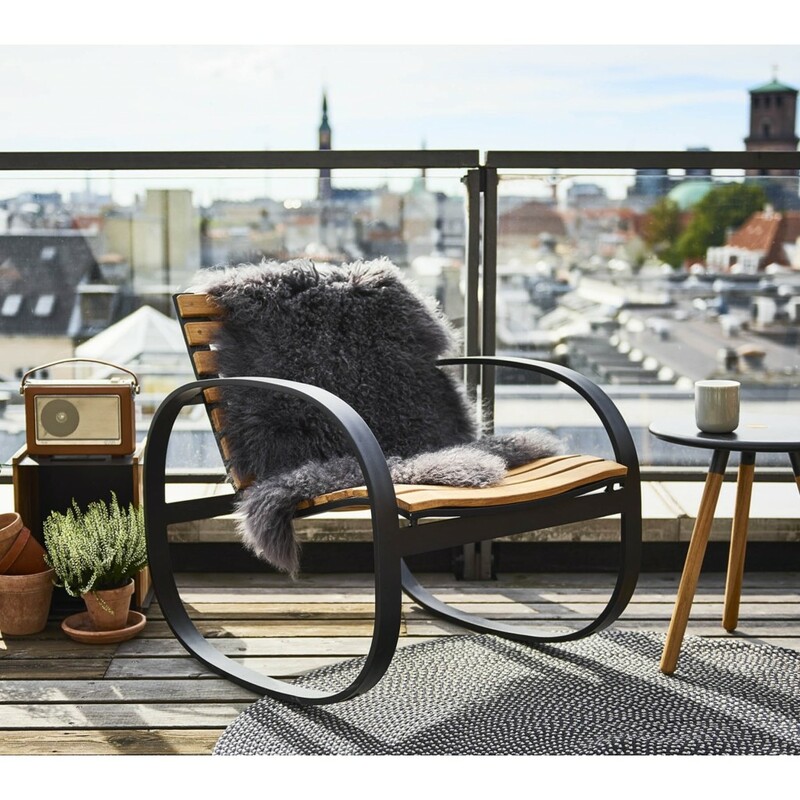 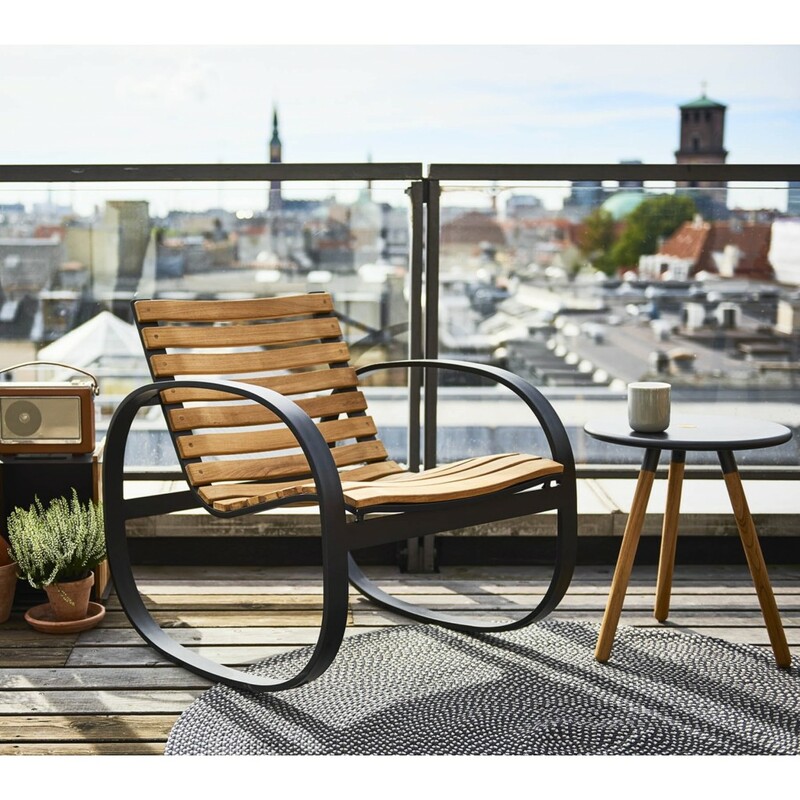 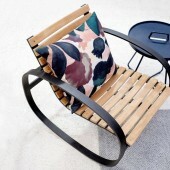 Parc rocking chair is a refined and exclusive chair of design furniture in teak designed by the Danish designduo Foersom & Hiort-Lorenzen MDD. 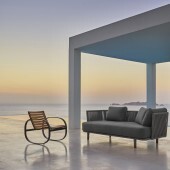 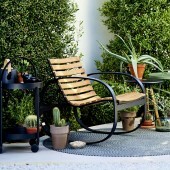 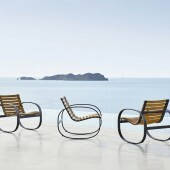 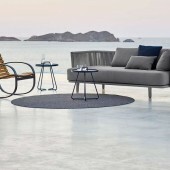 The chair is "bodyfitted" so it follows the shape of the body and gives an extremely high comfort. 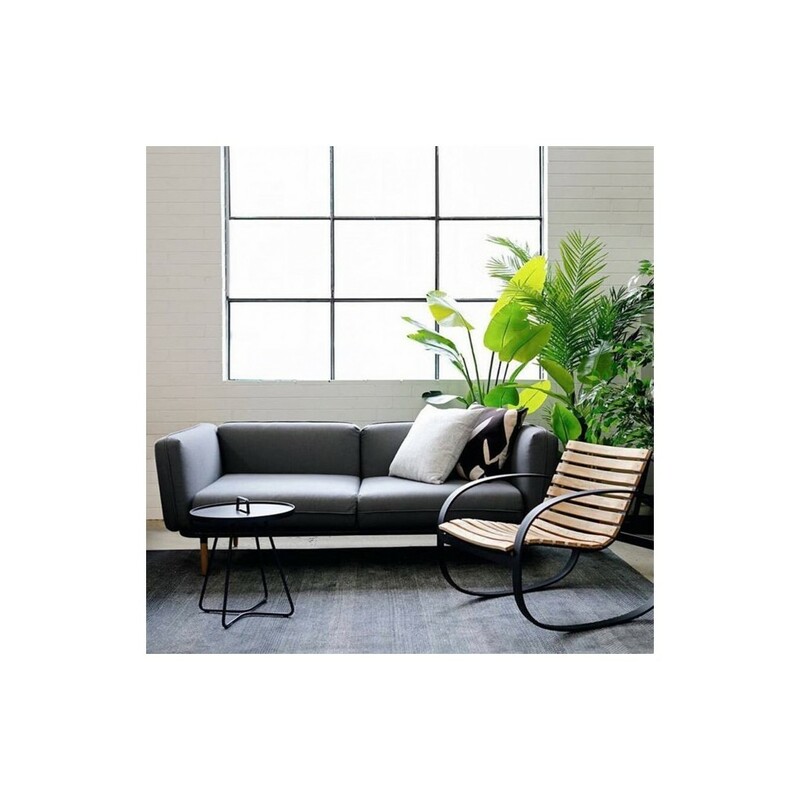 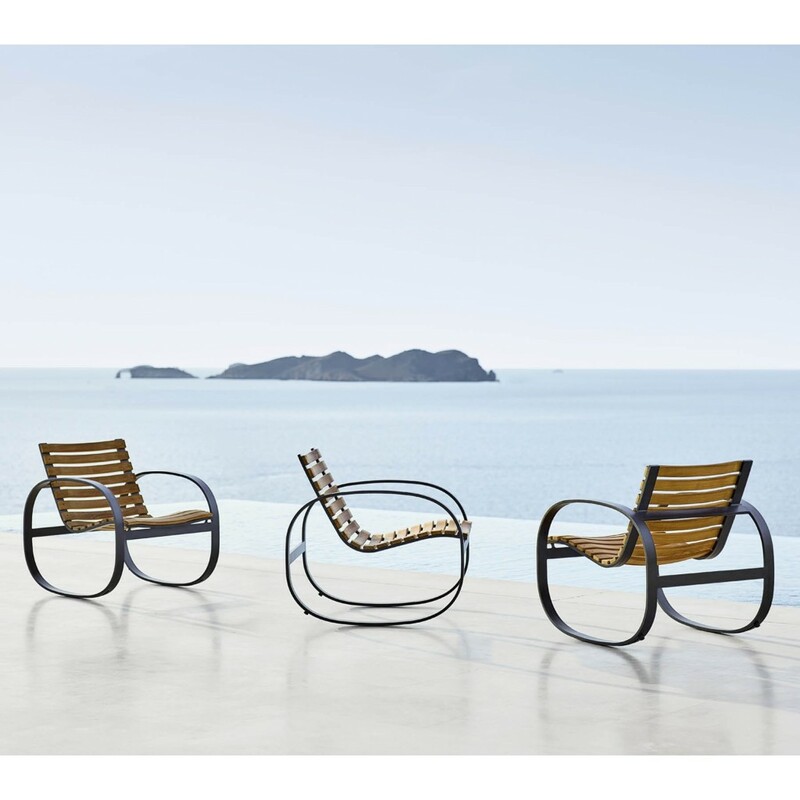 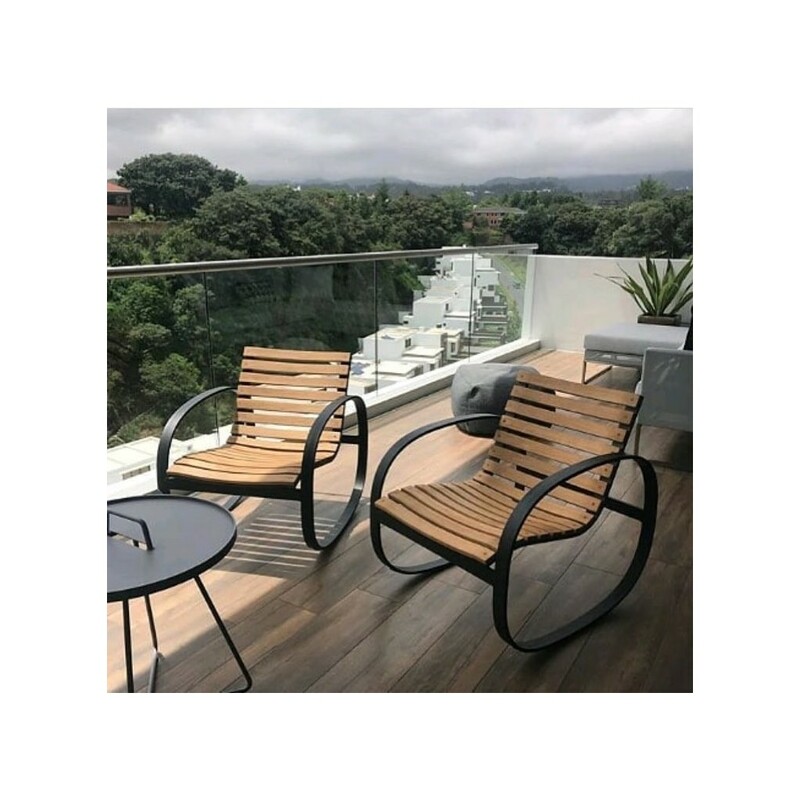 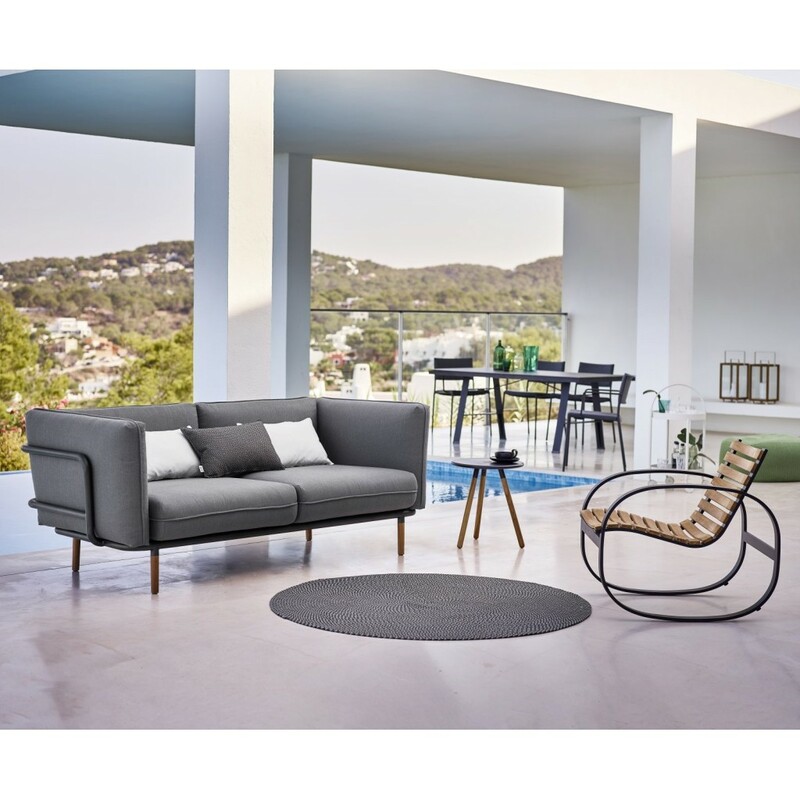 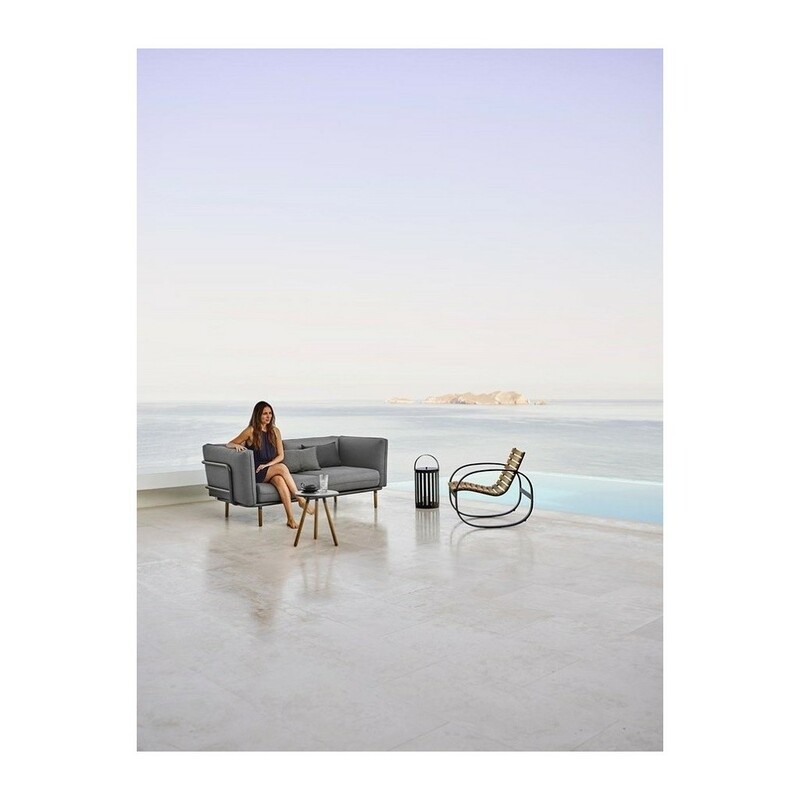 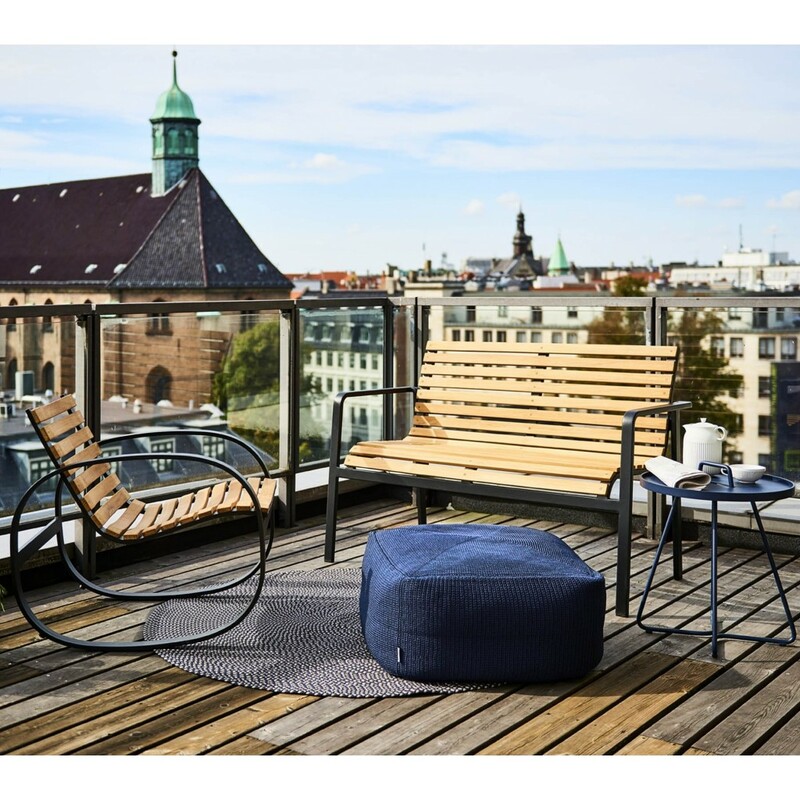 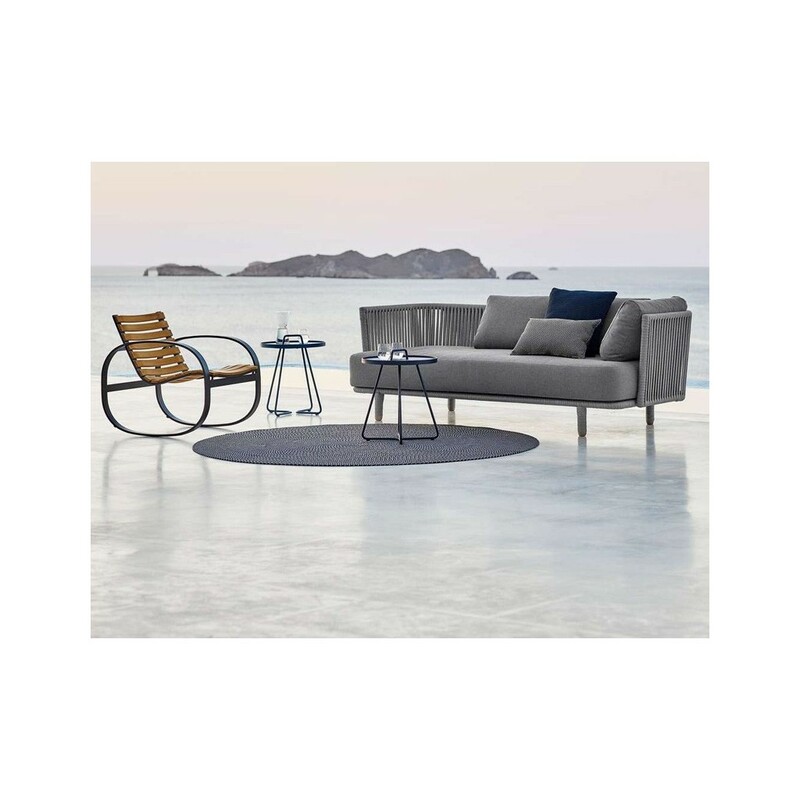 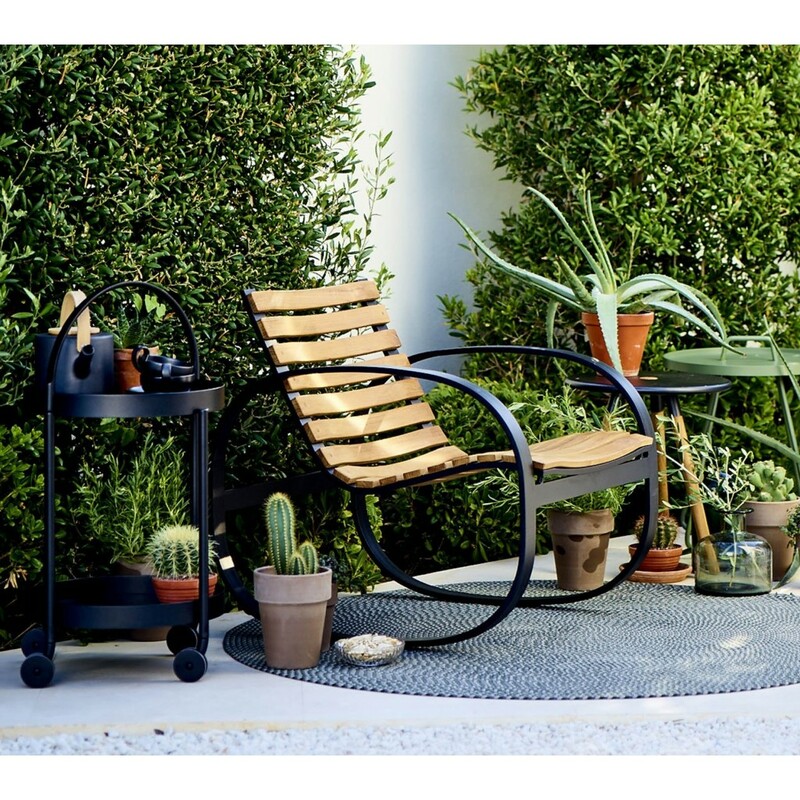 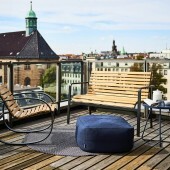 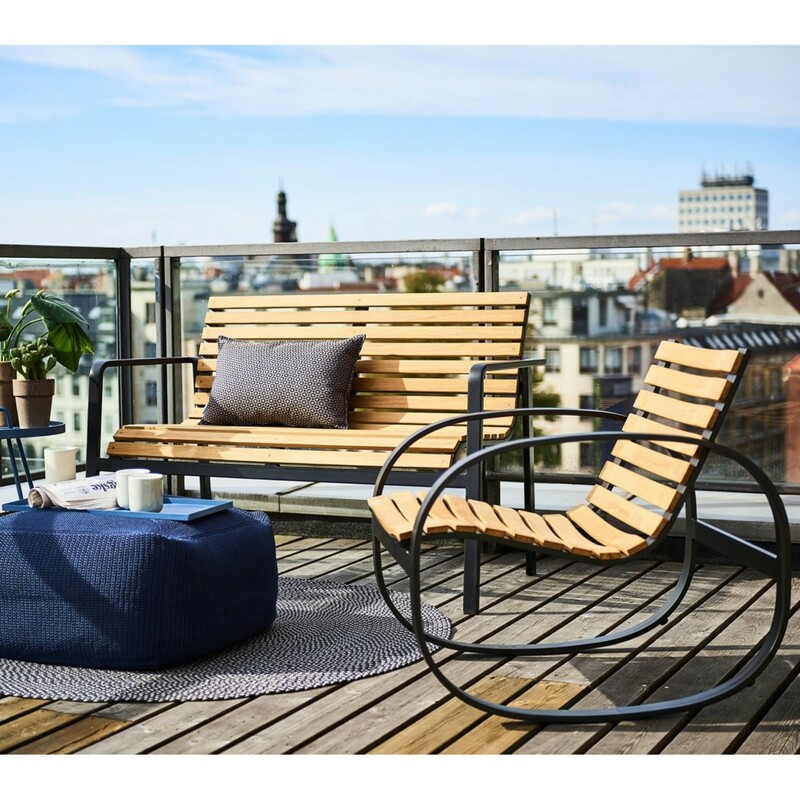 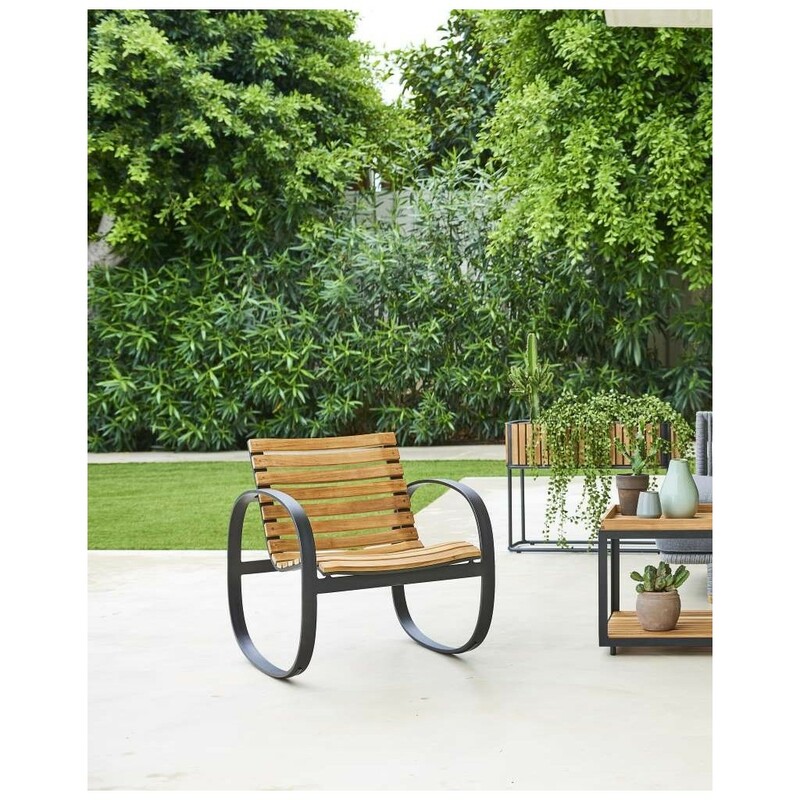 The Parc series is suitable for both small as well as large outdoor spaces due to its different design options, from bench to rocking chair and dining chairs. 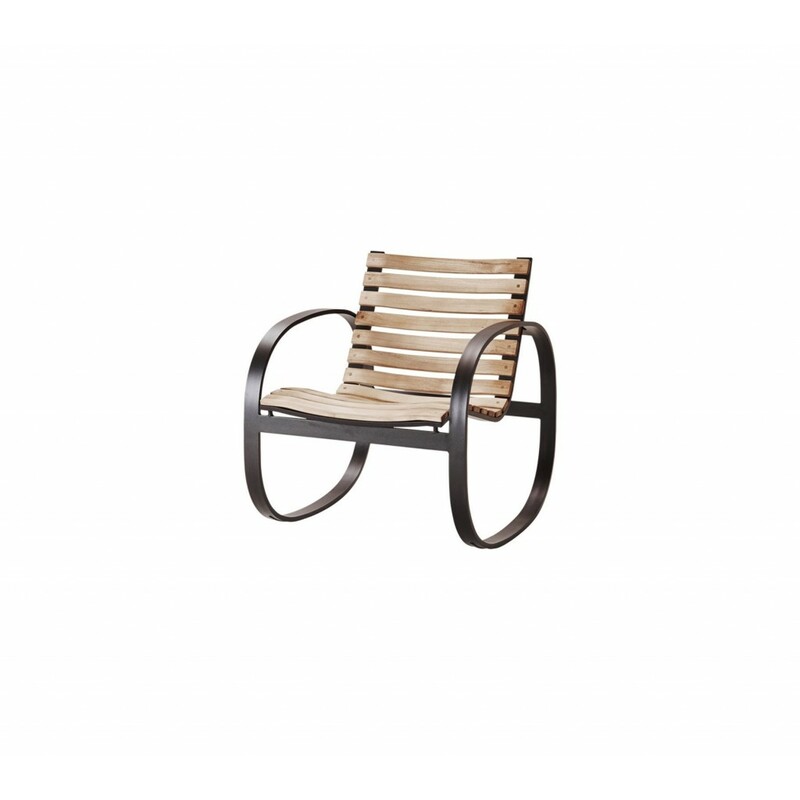 Parc will fit any space due to its choice of natural material and its exclusive design. 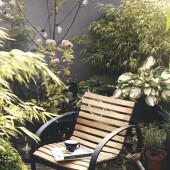 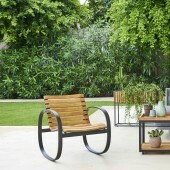 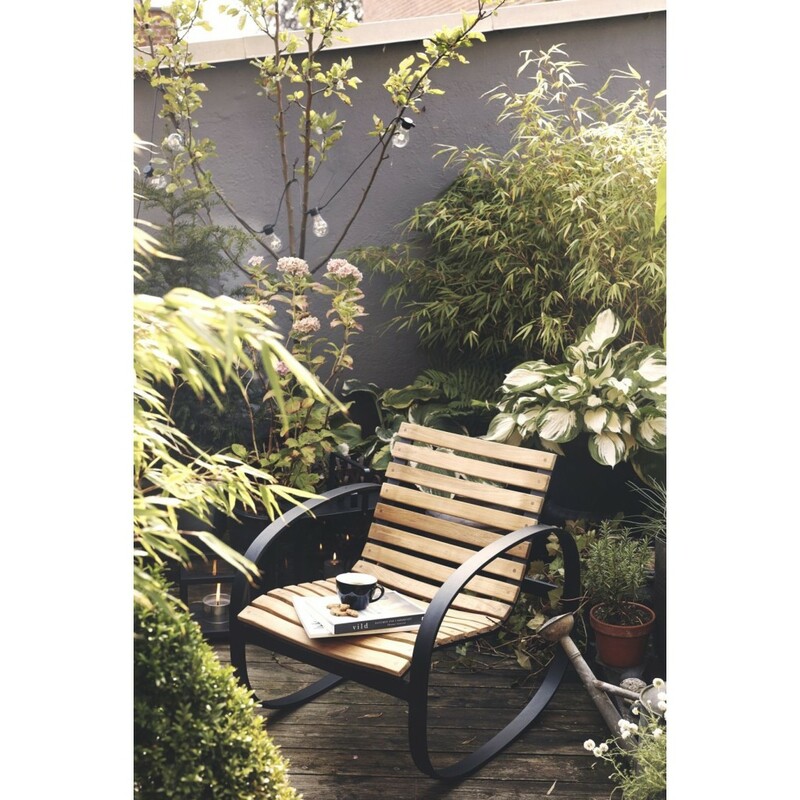 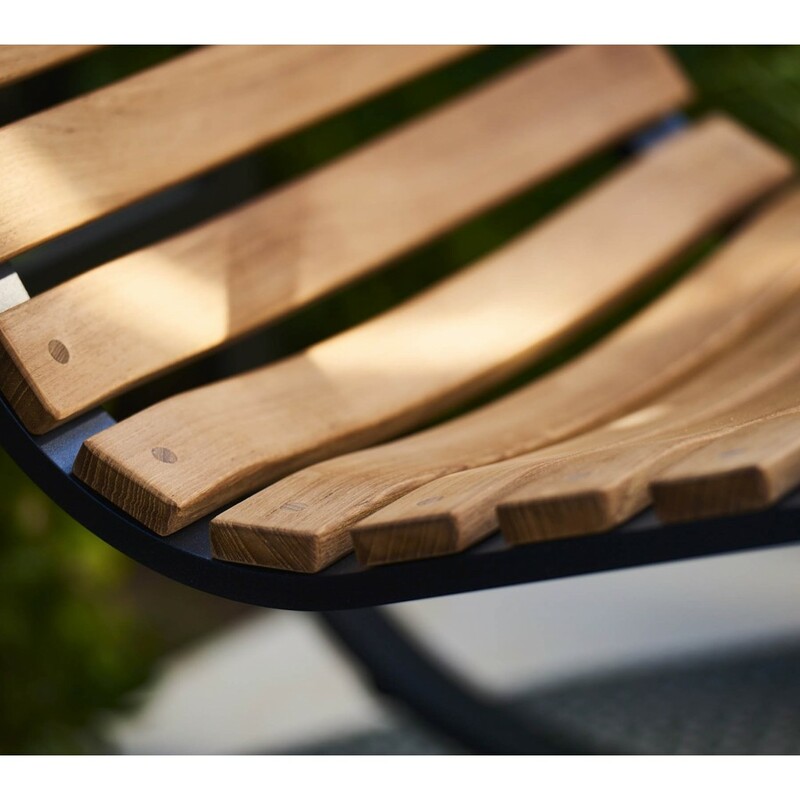 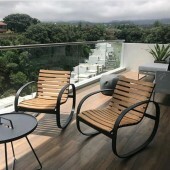 Parc is produced in certified teak and powder coated aluminium which ensure a resistant surface.